Is a car loan payment a way of life? Have you ever been told that you’ll always have a car payment? For most people, this is a normal way of thinking. But you don’t want to be average, you want to get out of debt. So how can you drive a nice car and not have a monthly car loan payment? Here’s the reality. According to the 2016 data on auto loans by Experian for a third of Americans, the average cost of a loan is $30,032, the monthly car loan payment is $503, and the term for an auto loan is 68 months. The current interest rate on a new car for 2017 is 4.35% for 60 months. What the car dealer doesn’t want you to know is that your shiny new car goes down in value 25% as soon as it leaves the lot. So your car is worth about 30% of the original value after four years. Ah after five years you’ve paid $34,035 for a $30,000 car that is now worth about $9,000. Not the best financial decision. Buy a cheap car for $2,000 and drive it for a year. Save the $500 a month that you would have been paying for a new car and you would have $6,000 at the end of the year. Then sell your old car for $1,000 and add that to your savings and you would have $7,000 to buy a new car. This way you won’t be paying any interest to the bank, and you can upgrade this way every year until you get the car you want. The point of this exercise is that you could have a very nice car after three years of saving and have six to ten years that you could use that $500 a month for anything you want. Not having a car payment your whole life would give you the freedom to do other things with your money. For example, you could invest that money in a good mutual fund and have close to two million dollars in 30 years just because you chose not to have a car payment for your whole life. It is shocking how not having a huge monthly car loan payment can change your life. You could have more to put towards travel, paying off debt, college or retirement. Maybe even stop living paycheck to paycheck. 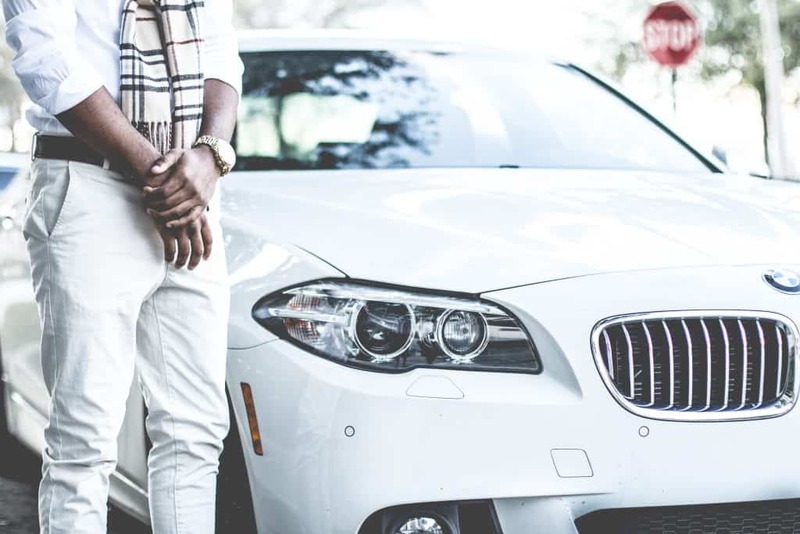 If you’re struggling to get ahead even though you make a decent income, your car payment could be the reason that you can’t meet your financial goals. If you buy a new car at age 25 and continue to have a car payment for the next 30 years, you will spend about $180,000 on cars. But if you save your money and pay cash for a used car and drive it until it falls apart, you would only spend around $30,000 on cars in your lifetime. I know that the new car is hard to resist. The smell, the feeling you get driving it off the lot, bragging about all the latest bells and whistles that it has. The excitement doesn’t last; it’s temporary. Then reality sets in, and it’s just another car attached to a big loan payment. If you’re trying to obtain financial freedom or just stop living paycheck to paycheck, you have to change your new car mindset. Being debt free or having an emergency fund to fall back on will bring you more joy than a new car ever will.